These vendors will be at the vendors market throughout the symposium. If you wish to be a vendor, see the information below. Helen Harmon will be showcasing the beautiful minerals and crystals that can be incorporated into mosaics, such as mookaite, obsidian, selenite, agates and more. She will also have a superior tile nipper and a range of colorants for grout and glue. Cetta will be offering sample boards, rods of marble and small quantity of hand cut marble 20x20x10mm. 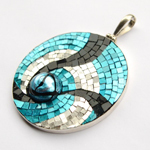 Margo will be selling her intricate mosaic jewellery, as well as jewellery supplies and small tools. 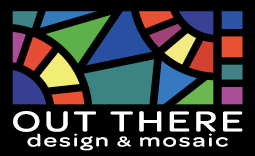 Visit the Mosaico stand at MAANZ Symposium 2015 to see our existing and new ranges of Bisazza glass and smalti, Natura glass, Millefiori, Cinca, Opus, Pearl Shell, Marble and more. Every Symposium bag will also contain an exclusive Mosaico sample pack! A range of Mexican smalti will be on sale, including colour mixes, iridescent and metallic finishes, golds, and tortilla. Mosaic magazines and cutters also available. 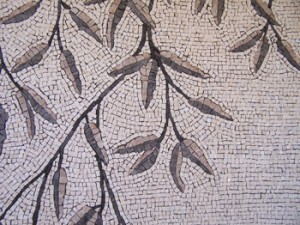 Up to 200 keen mosaicists from throughout Australia and overseas will be congregating in Sydney for the symposium – a perfect opportunity to meet up with old customers and make new ones. The vendors market will be open for three days and one evening during the registration period, the plenary sessions and during the workshops. With the workshops absorbing less than half the registrants there will be plenty of time for mosaic artists to browse the vendors market. Numbers are limited by space in the venue to eight vendor tables. If you are interested in being a vendor at the symposium, upload the information sheet here, and the booking form here. A full table costs $330 for the three days, and sharing a table with up to three vendors per table costs $110 each.